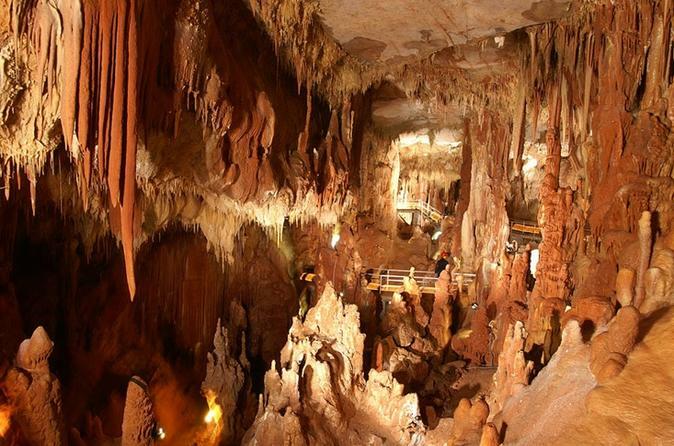 If you want to see something different and also enrich your knowledge, this cave tour will excite you, as it is of anthropological and paleontological interest. In 1960, during the exploration works, the most important finding was the cranium of a primitive man, unique in Greece, which is now at the University of Thessaloniki. He lived about 200,000 years ago, belongs to a transitional form, between Homo Erectus (the Standing Man) and Homo Sapiens (the Wise Man) and is the oldest testimony to the presence of humans in Greece and maybe also to the Europe.